We receive reports of bad Santa every season. But in this year of politics you never know what you’re going to get. A mall Santa in Sanford, Florida has been canned for telling a little girl that former presidential candidate Hillary Clinton was on his naughty list. The girl’s mother — a Clinton voter — complained and Santa is now out looking for a new gig. The mother, who hasn’t been named, said she took her two children to see Santa at the mall Tuesday. Her four-year-old sat on Santa’s lap without any incident but, the mother said, his conversation with her ten-year-old daughter took an unexpected turn. ‘She tells Santa what she wants and then he tells her she’s on the nice list. He then says there’s only one name on the naughty list, can you guess who?’ the mother recounted on Facebook. He then said it was Hillary Clinton and started laughing. The mother said the comment upset her because it had ‘nothing to do with a child’ who believes in Santa Claus. She got in touch with the management, who in turn called Santa’s hiring company. The company apologized to the family and removed Santa from the mall. 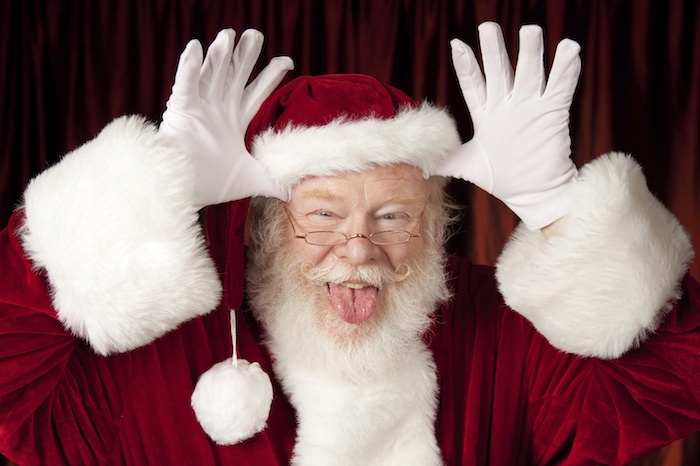 Santa, according to a company spokesman, said he thought his comment was a joke.